The New Ulm Chamber of Commerce was looking to update their old phone system. The older system wasn’t giving them the functionality and features that they needed from a system in order to keep in contact with the many small and large sized business within their membership organization. They wanted to see what different options were available, and were looking for more features to better productivity and, if possible, to lower their monthly bill. 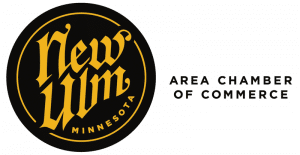 Nuvera and the New Ulm Chamber have a solid working relationship together. They are a chamber member and help out within the community. Nuvera was able to provide different options for the Chamber to consider. Ultimately, the Chamber of Commerce decided to go with Nuvera’s state-of-the-art FlexVoice system which gave them the features they wanted in a new phone system. The FlexVoice phone system provides the Chamber with the solution they were looking for. They really enjoy that there are many different options they can utilize if they choose to, and each employee can set their phone up with these options separately. They are most excited about having speakerphone and caller ID. Now when somebody calls into their office building employee is able to see who is calling, and can grab the phone right away if they know it is for them. An added benefit is that it has saved them on their monthly bill expense. The New Ulm Chamber is happy to continue their great working relationship with Nuvera. They know that they were provided a good product, and even better, a great staff. Nuvera’s staff is always very responsive and answers questions in an efficient manner of time. They know that Nuvera will always deliver on its promises.